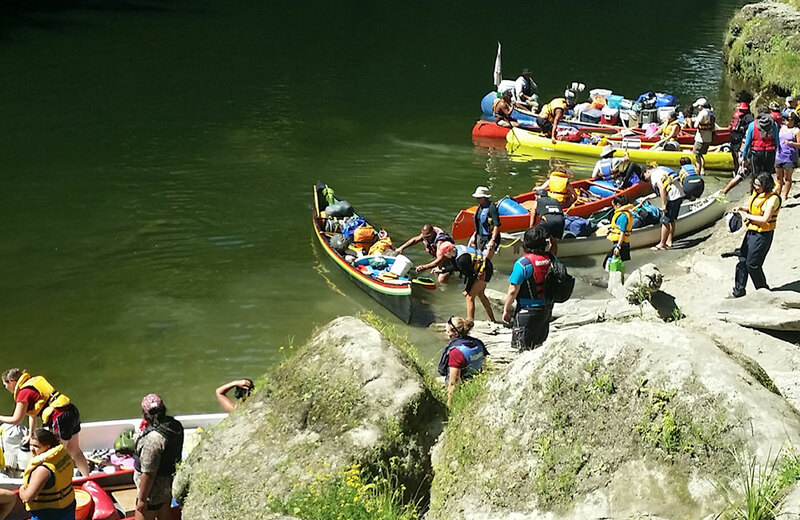 All you need to supply for these tours is a sleeping bag and personal gear. 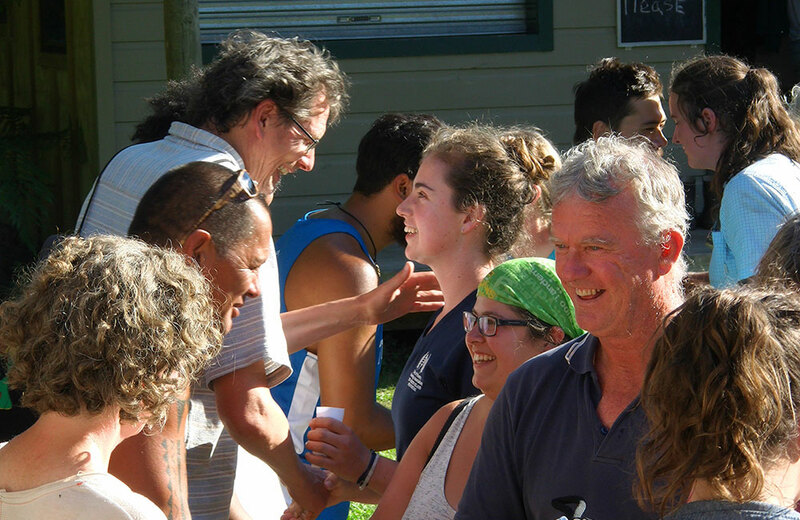 Starting in Whanganui or Ohakune, the day begins with a drive to Whakahoro, the home of the Blue Duck. 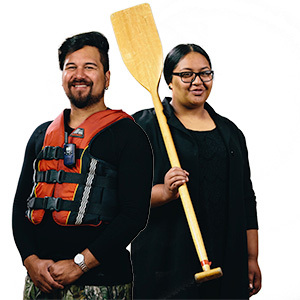 From here, following a whakatau (formal welcome), safety brief and packing the waka (canoe) you’ll embark with a river navigator towards Mangapāpapa Kāinga, an old māori settlement. 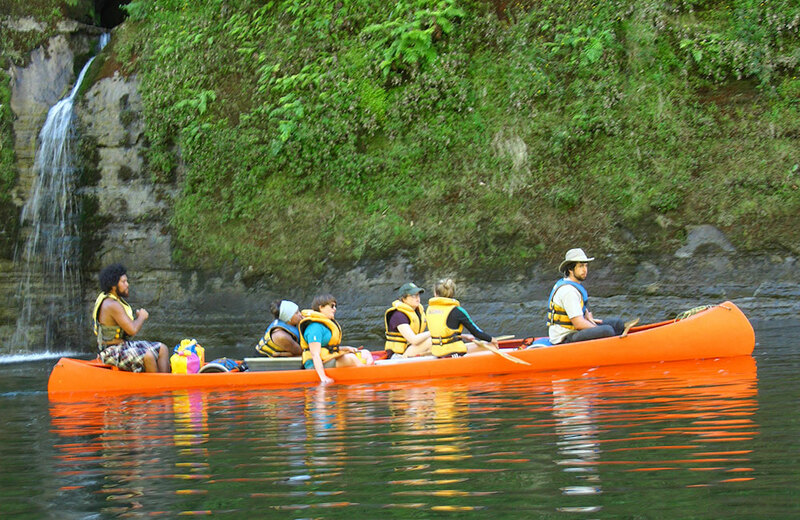 Along the way you’ll pass some historic sites, hear some stories passed down through generations and enjoy the beauty that this section of river boasts. 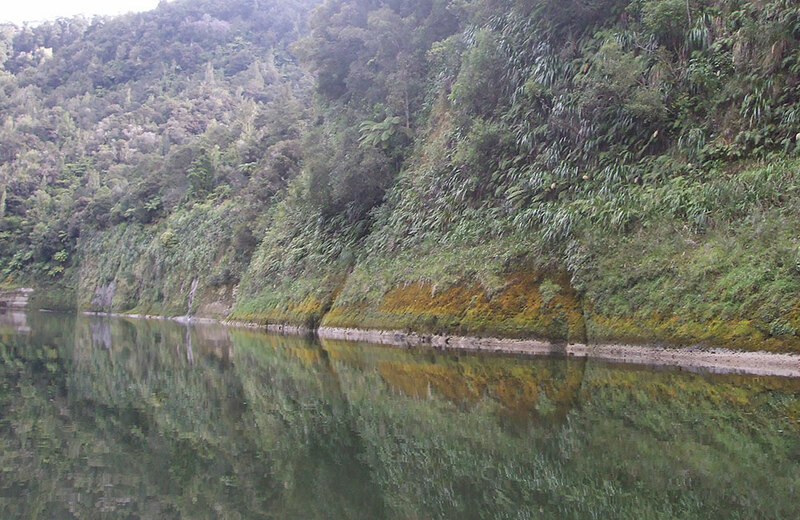 This first days paddle is the longest of the three days but the mystical scenery makes it all worth while. 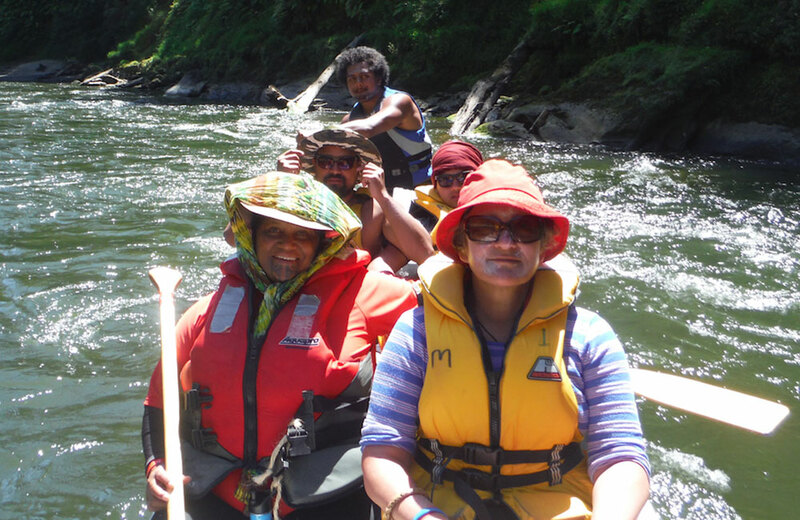 Breakfast prepared by your guide sets you up ready for departure at around 9am. 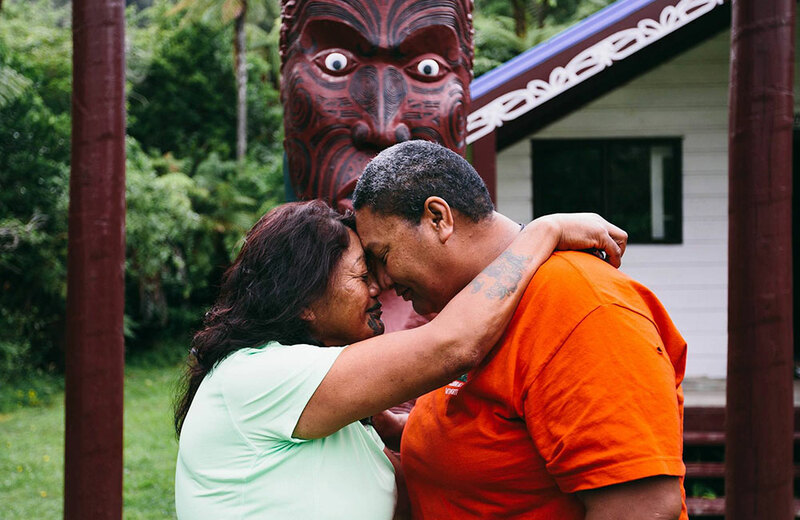 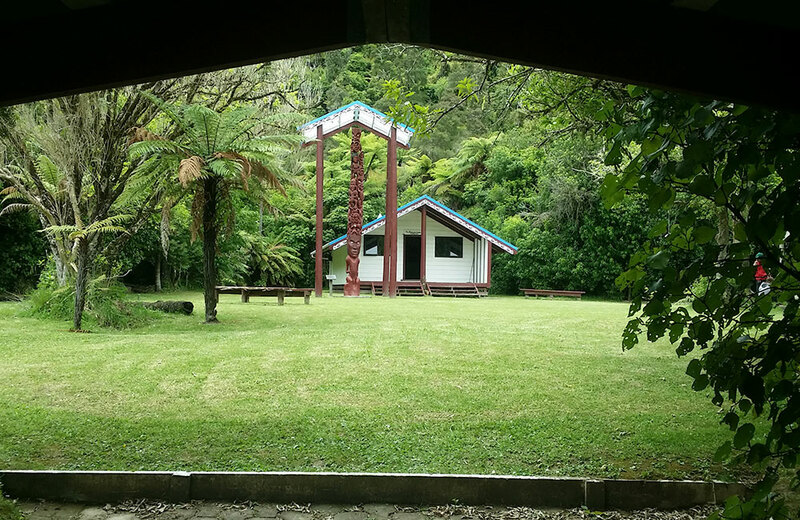 A morning paddle past the Tangarakau and Whangamōmona River takes you to the home of the Patupaiarehe – People of the Mist, a campsite called Mangawaiti. 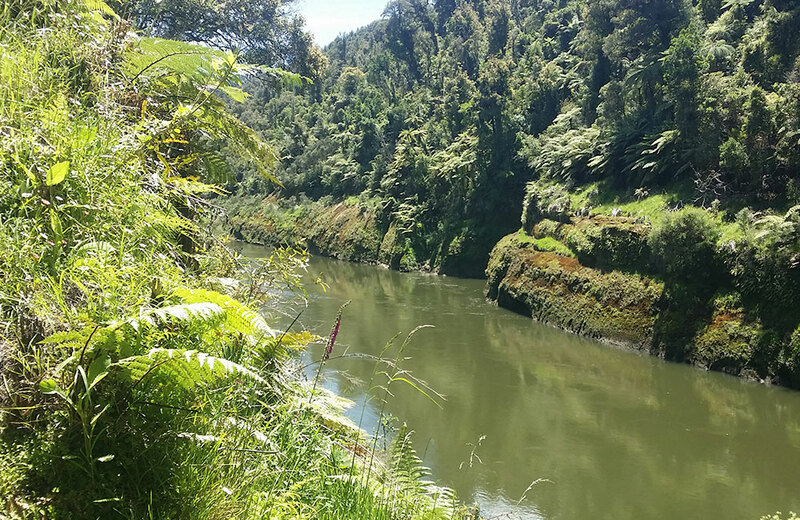 After morning tea you’ll make your way towards the bridge to nowhere, a popular bush walk (45min each way) and then continue paddling towards Tieke Kāinga, one of the most beautiful marae along the Whanganui River. 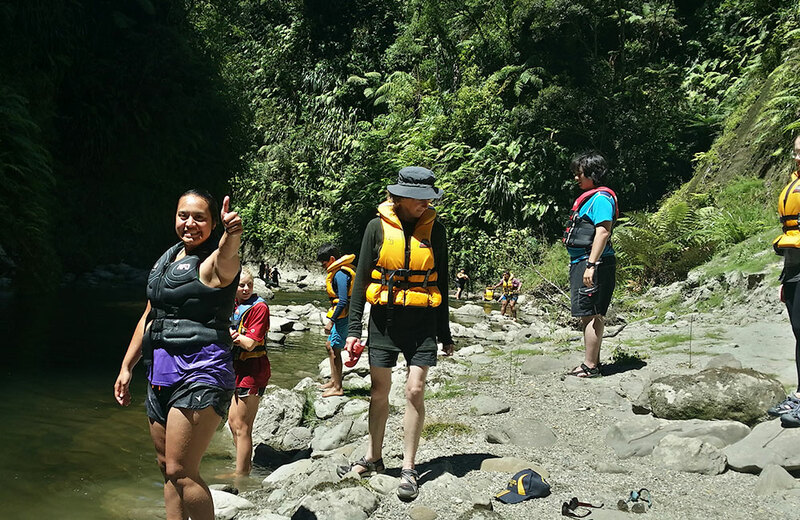 After an hour and half of paddling through steep gorges and magical reflections, you’ll reach the untouched waters of the Manganui o te Ao. 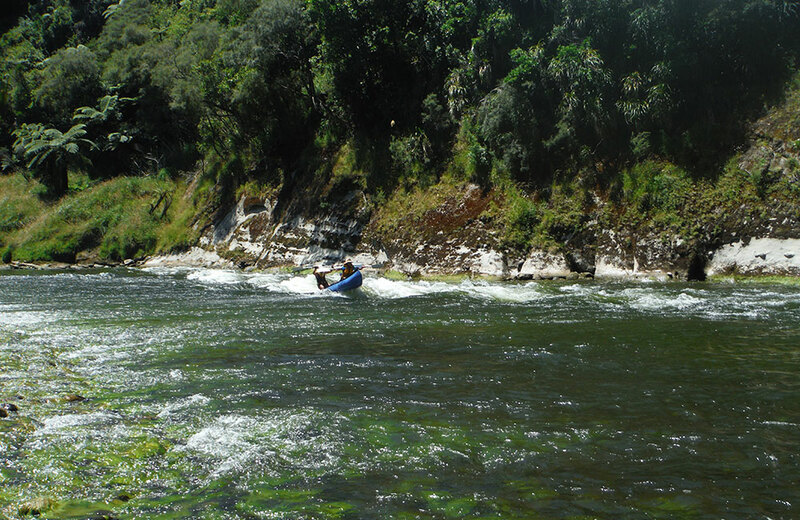 A few bends more and some of the rivers most exciting rapids await as you make your final strokes, past the eel weirs towards Pipiriki, your final destination. 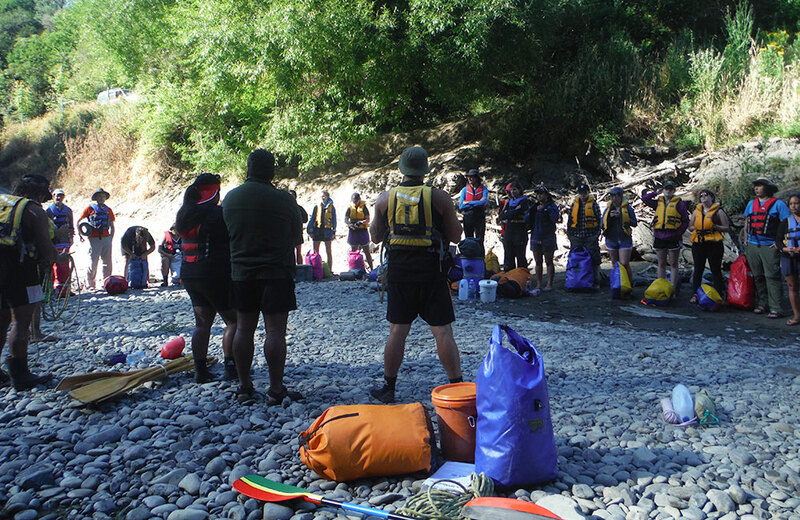 All you need to supply for these tours is a sleeping bag and personal gear. We will provide all other equipment needed including food, tent and cultural river navigator/s.